The Implicit Tab in the Edit Target Wizard is used to set the implicit dependencies of the target. 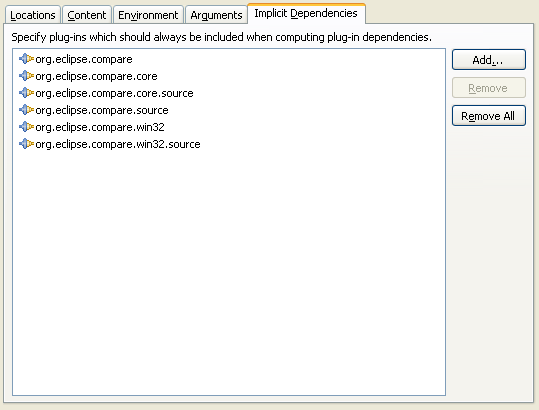 Any plug-in marked as an implicit dependency will always be added as a required plug-in when PDE determines requirements. Implicit dependencies can also be edited on the Environment Page of the Target Editor. Pressing Add will open the Implicit Dependencies Selection Dialog allowing you to select one or more plug-ins from your target platform to add as implicit dependencies.